All New exciting SolarActive ® color change items will be available soon! The new Ruby Wing collection is scented. 6 New colors, 6 new scents, this collection is now available. The new scents are sweet cream, strawberry, doux, rose, chocolate mouse and Cinnamon. 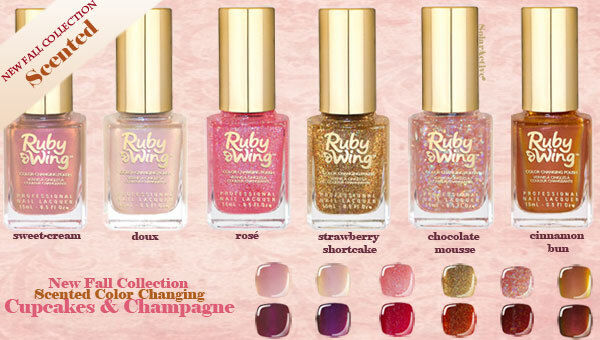 Ruby Wing™ Nail Polish Changes Color In The Sun! 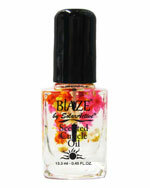 'SoleMates' Two Colors In One Bottle! The mani-pedi is getting a makeover, thanks to color-changing technology from Solaractive The ultimate accessory for beauty junkies and fashionistas alike color change nail polishes use SolarActive® technology to change the color of the polish when exposed to UV rays. Color changing nail polishes are one fabulous color indoors, and immediately when exposed to the sunlight/ UV rays another color appears. .
Color change nail polish features a spectrum of vibrant hues, spanning from hot pink to evergreen. These two-in-one shades pair brighter colors with deep, rich complements. 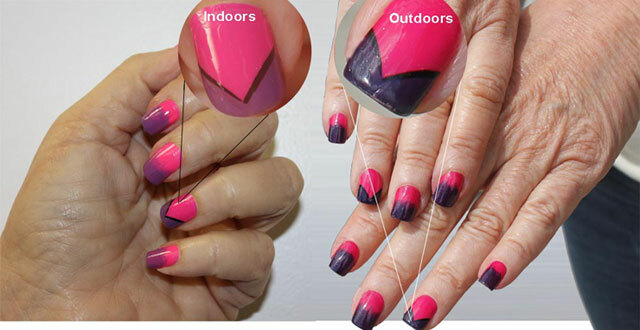 Whether it is light pink to purple, a more daring blue to green, or even a simple yellow to orange, color changing nail polish rises with the sun. On sunny hawaiian beaches to the ski slopes in Aspen. 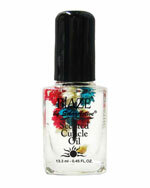 Color changing nail polishes work in all seasons: Winter, Spring, Summer, or Fall.